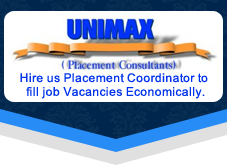 UNIMAX (Placement Coordinator) is headquartered in Faridabad, Haryana, India. We are a deep-rooted name offering highly reliable and stupendous Placement Services in the most efficient manner. Trust us without a second thought, as we are a responsible service provider with years of experience in this domain. 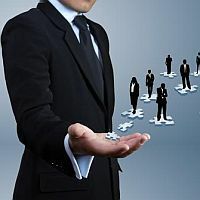 We wonâ��t let you dwell through varied institutions to decide your next move. We are staffed with veteran professionals and experts, our services will give you a precise idea and budget for the program. We wonâ��t let you down, trust on us!